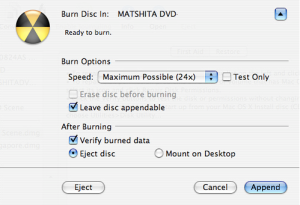 If you have though that a normal disk would not allow you to re write the left out part of the CD or DVD then it’s time to give this a thought as MAC OS X allows you to do the same so that you can make the most out of the left out space of your CD or DVD efficiently for burning small files and small sized softwares which might be sometimes essential. 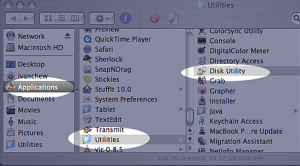 This technique is very popular in Windows operating system but let’s check out how you can create a multi session disk in MAC OS X system. Every time when you burn additional data on to the disk, a new disk option appears separately on the desktop screen when you insert the disk, each icon represents a burning session. For creating a multi session disk first you need you need to compile all the files which you wish to burn in a single folder. After compilation of all the files into one folder, go to Applications, select Utilities and open Disk Utility as shown below. 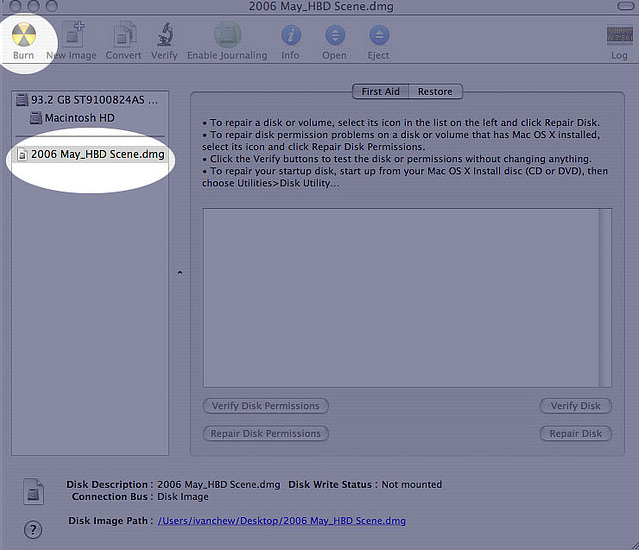 Now, after clicking on Disk Utility go to the Menu and click File, New and then select Disk Image from Folder. Now, when prompted you will need to browse to the folder that contains the files and folders which you wish to burn into the disk and then click on Image and input an appropriate name of your choice for the disk image which will be created. Please note only folders can be copied and not individual files. Each time you want to copy the file, you might want to create a new folder and place the file in that folder. 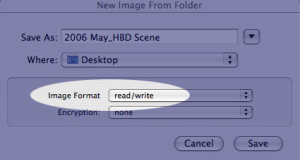 Also most importantly don’t forget to select “read/ write” for Image Format, if its not selected , then CD or DVD will be closed and then Click on “Save” as shown below. Now, you will have to wait till the image gets loaded. Now, once the image is created, you’ll see the screen below, now select the image from the Disk Utility window and then click on the “Burn” icon. Now, insert the CD/ DVD disk into the CD / DVD tray. If you insert in a brand new disk, you will see this dialog box. IMPORTANT – select “Leave disc appendable” if you want multi session burning later on. Now, click on “Burn” but before that also you can modify the burning speed if you find it necessary. Now, just sit back and relax as Wait files are being copied to the CD/ DVD disk media as the time of writing will depend on the speed and the length of the files, if files to be copied are huge and the speed is less then it will take some time or else if file size is less then it will lesser time. After writing finishes the CD / DVD pops out in a tray which means that writing has been successfully finished. Now, if you already have a CD / DVD which was not fully recorded and now you wish to add some files in it, then all you need to do is to follow the above procedure it self but when you are asked to insert CD / DVD in the above procedure, you need to enter that disk and after entering the disk you will find the option Append compared to option Burn when you insert a blank CD / DVD. 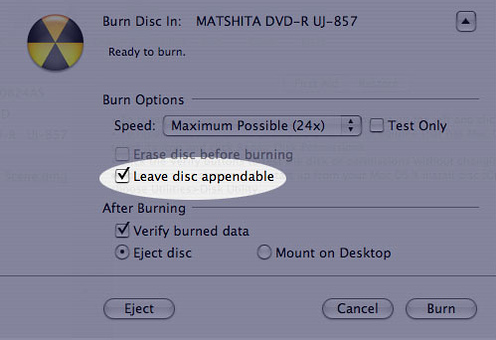 Not to forget, remember to select “Leave Disk Appendable” before proceeding to click on Append. So now, you can create a multi session disk by following the simple procedure mentioned above.